Jason & NPH. 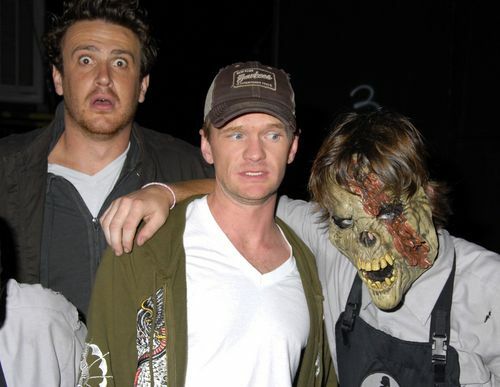 Jason with How I Met Your Mother co سٹار, ستارہ Neil Patrick Harris and some weird freaky dude =D. HD Wallpaper and background images in the Jason Segel club tagged: jason segel image picture neil patrick harris halloween 2006. This Jason Segel photo might contain tabard and تکمہ.